Tues 28 March 2017 RAF Leeming visit to 29 Sqn det. *Don't forget to add your name! Exercise Volcanex 1997 - "Plus ca change"
Whilst Ex Griffin Strike looked very interesting it reminded me of a previous chapter of Anglo-French military co-operation in the mid 1990s that resulted in the formation of the Franco-British European Air Group that ran a series of Volcanex Exercises, the 2nd of which (in July '97) used Leeming. 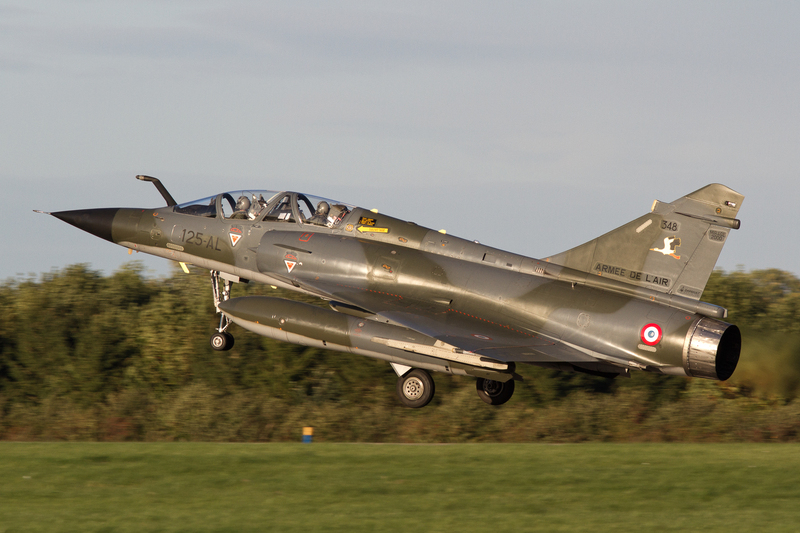 The French sent a contingent of Mirage 2000s and F1s (interestingly from the same Normandie-Niemen Esc which were here with Rafale) whilst the based F3s and Hawks also participated. The exercise was mainly conducted over Wales as I recall. 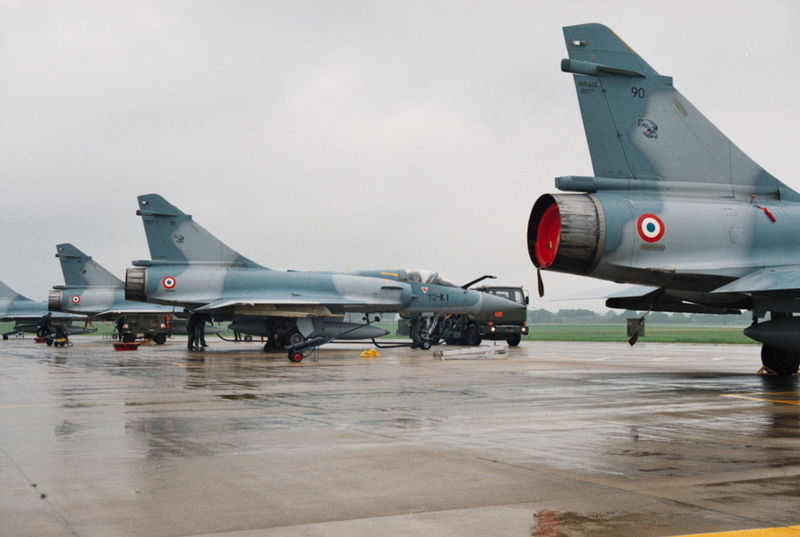 Attached are a couple of pics of the Mirage 2000s and the badge of the FBEAG which is still in existence but now primarily concerned with CSAR if its website is any guide. 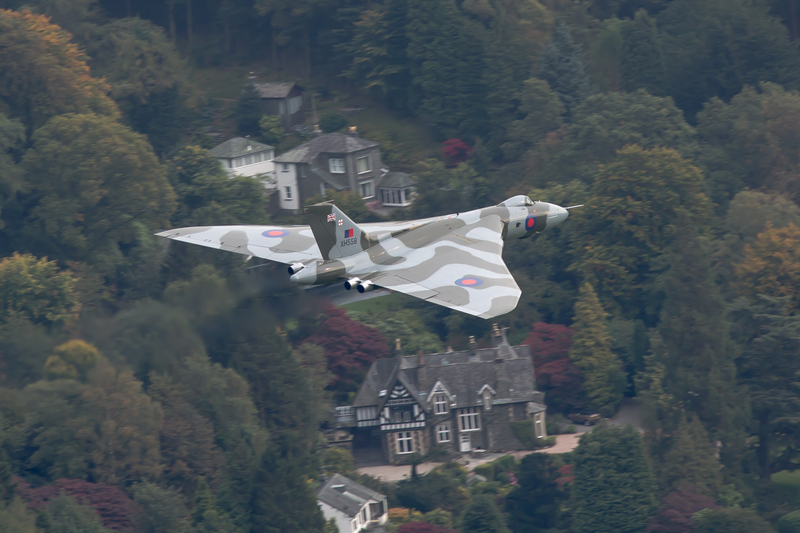 FLAG 2015 Xmas Lecture - Exercise Northern Venture or "Around the World at 90 knots"
Our guest speaker at the FLAG Christmas Lunch was Squadron Leader Tony Cowan MBE BA FRIN RAF (Rtd). A former air cadet, Tony joined the RAF in 1969, training on the JP and Varsity before flying operationally on the C-130 and Nimrod, including the 1982 Falklands conflict in the latter. He was awarded a commendation for long range patrols during this conflict which included a record breaking flight of 19 hrs 5 mins ! Ground tours followed including the Officers Command School, OC Ops Sqn at 399 Signals Unit and MOD Press Office. During these appointments Tony joined 5 AEF flying the DH Chipmunk. This led in 1996 to organizing and leading a long range flight in the Chipmunk to Moscow and back to mark the 50 year anniversary of the aircraft. 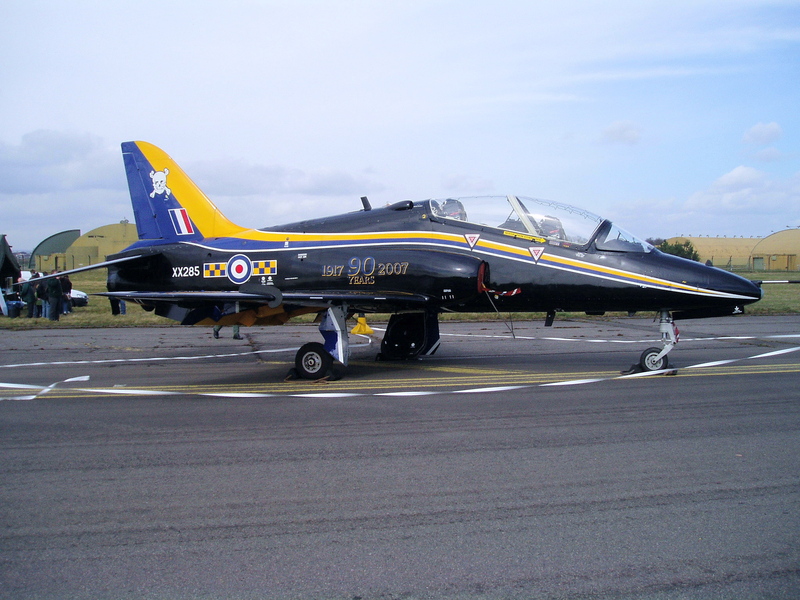 In 1997 Exercise Northern Venture followed, when Tony with Ced Hughes and Bill Purchase, circumnavigated the northern hemisphere in two Chipmunks. 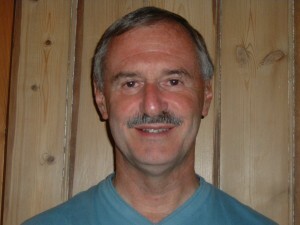 Tony was awarded the MBE in 1998 for services to aviation. On leaving the RAF in 1998 he flew the BN Islander from DTV airport for the NE police followed by a tour with the Scottish Air Ambulance with the same aircraft. Throughout this period, as a member of the RAF Reserves, he continued to fly with 11 AEF at Leeming on the Bulldog and Tutor. Currently Tony flies the Cessna 182 and 208B for Peterlee Parachute Centre as well as having a share in a Victa T5 Airtourer. He both a trustee and Regional Co-ordinator for the UK Civil Air Patrol and also Captain of the Mayor of Durham’s Ceremonial Bodyguard which dates back to 1602. Apart from Her Majesty the Queen, the Durham Mayor is the only person in the UK with a personal armed ceremonial bodyguard. Read about the Service history of WP962 by clicking on the pdf icon below. 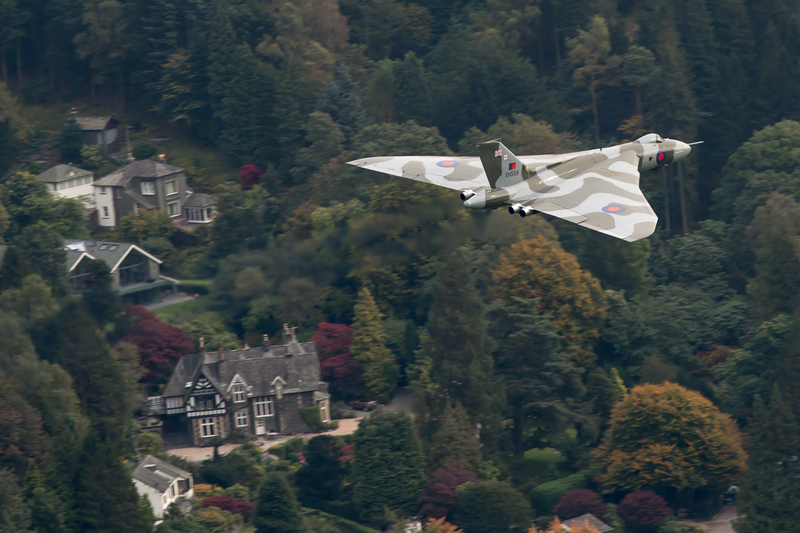 One of the weblinks featured on the Info Zone page of our FLAG website is "RAPCON" (end of page), the acronyn for the website of the Runhall Aviation Photographers Consortium which features the work of four aviation photographers including myself. In addition to covering airshows around the world, the galleries feature military exercises and deployments as well as routine operations. In recent weeks, no less than 13 new photo galleries have been launched on the Rapcon website, all of which reflect a busy 17 days spent by Andrew Jewson and myself at various bases from coast to coast in the USA. Our travels took in 4 airshows & visits to "the fence" at Marine Corps Air Station Yuma (AZ) & Naval Air Facility El Centro (CA) in order to witness the biannual Weapons & Tactics Instructor course. The WTI course attracts participating Marine Corps flying assets from other bases spread throughout the USA and also from Japan. It is estimated that over 150 fixed & rotary wing aircraft took part in total. Included in the photo galleries referred to above, is one gallery dedicated to USMC Squadron VMFA-121 which started working up operations late 2012 with the F-35B Lightning II (Joint Strike Fighter). 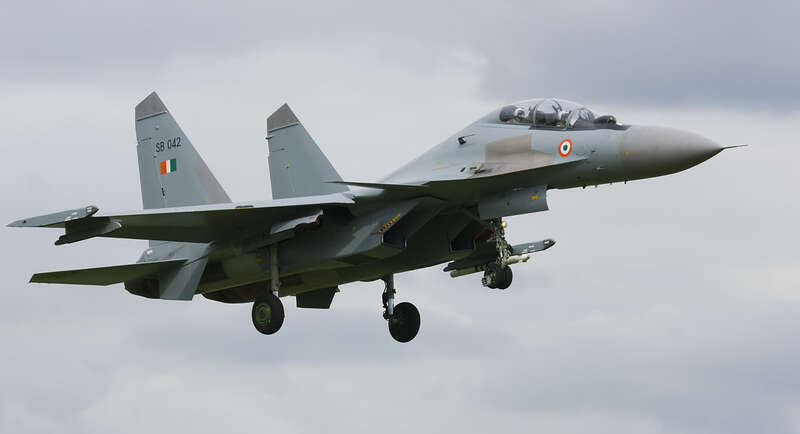 By July 2015, the squadron was able to declare initial operational capability (IOC) with 10 aircraft up to fighting standard & ready for deployment. The F-35B is currently on order for the Royal Air Force and Royal Navy and indeed first production aircraft are already in use for training RAF aircrew at Edwards AFB (CA) and for RN aircrew at MCAS Beaufort (SC). We should see the first of these arrive in the UK by 2018. 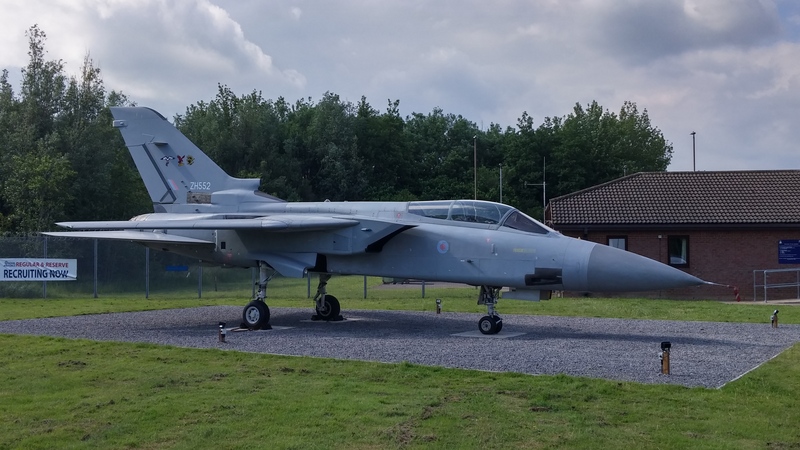 Earlier this year, as described in the feature in the Lee Zone of the website, Leeming replaced its Javelin Gate Guardian with a Tornado F3. 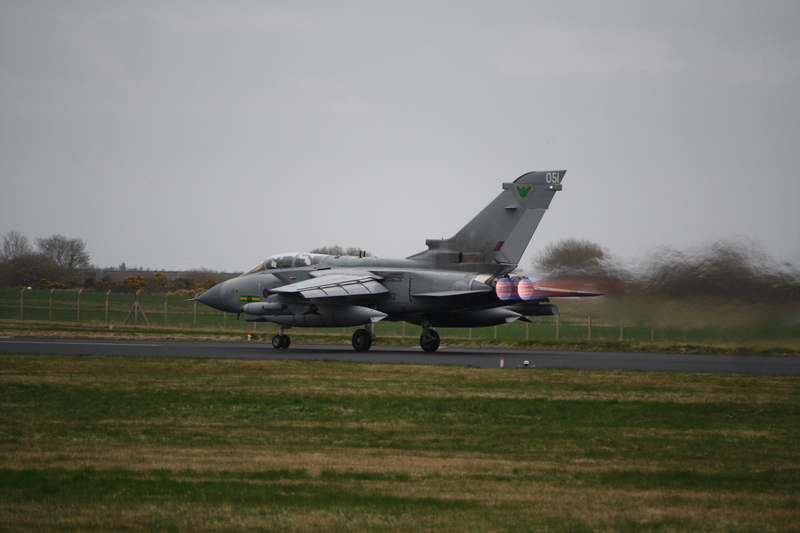 One of the final batch of eight Tornado F3s built by BAe at Warton for the cancelled Omani order, constructor no. 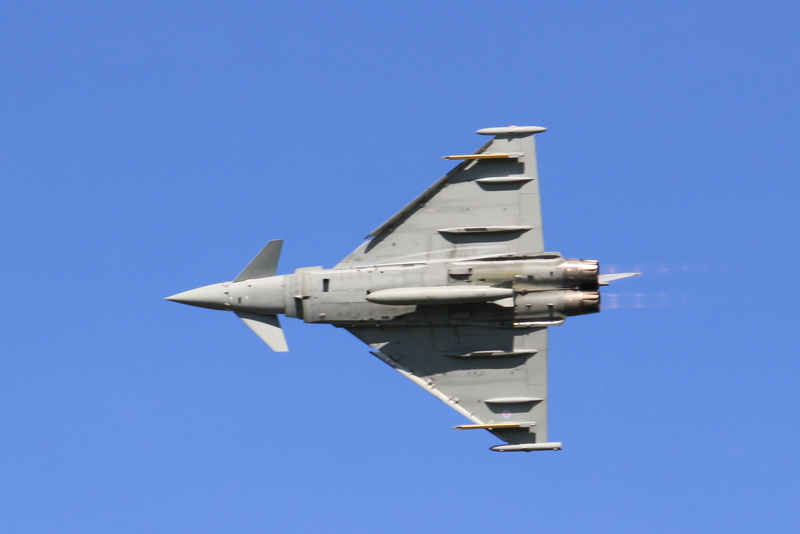 AT044 was delivered to the RAF (who were forced to takeover the order much against their wishes as they felt no need to increase the fleet) at Coningsby on 11 September 1992, serialled ZH552. 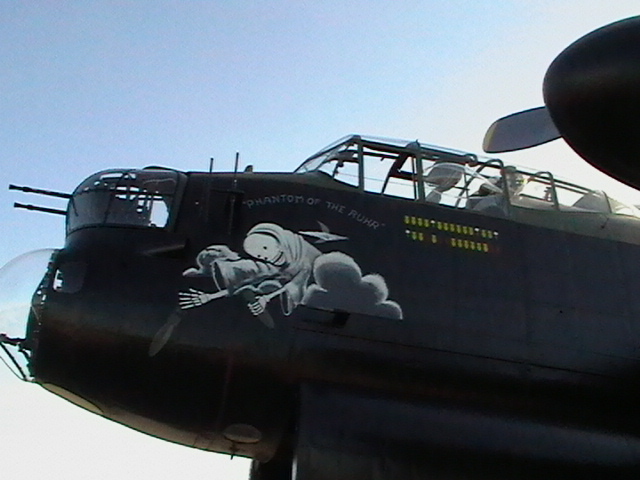 Originally operated by 56 ( R ) Sqn. 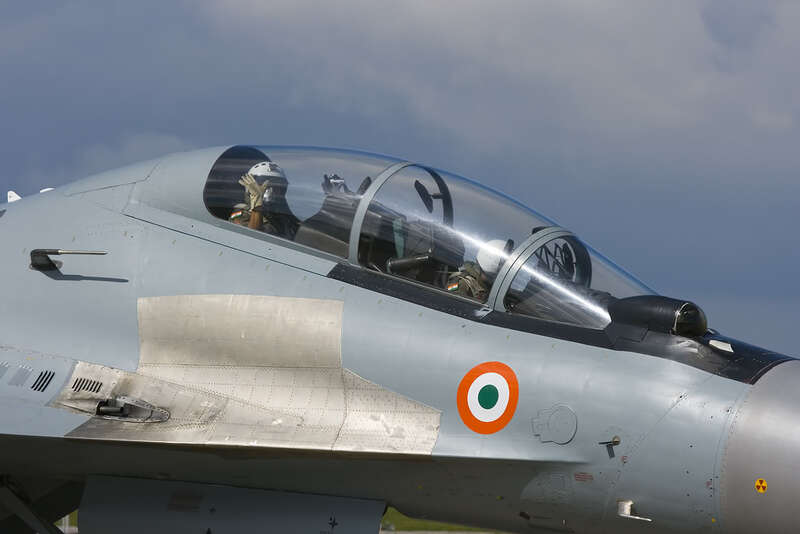 the F3OCU, coded AZ, it was briefly loaned to the Aeroplane & Armament Experimental Establishment (A&AEE) the following year for trial work on the Joint Tactical Information Distribution System (JTIDS) being returned after two months away. 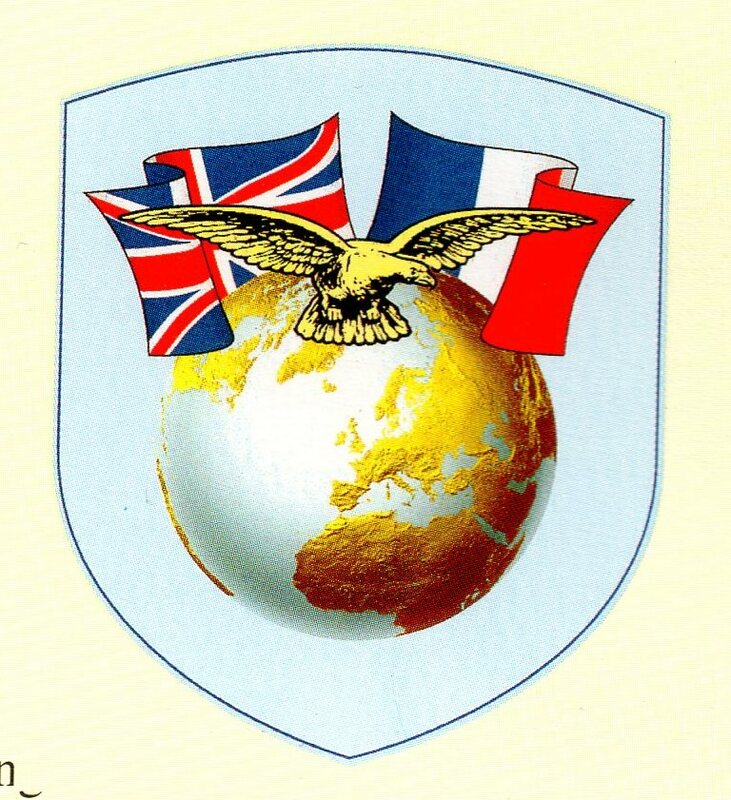 In June 1994 it was passed to the Air Warfare Centre (AWC) that was responsible for developing F3 tactics and doctrine which operated it for two years. After a brief loan spell with XI Sqn. 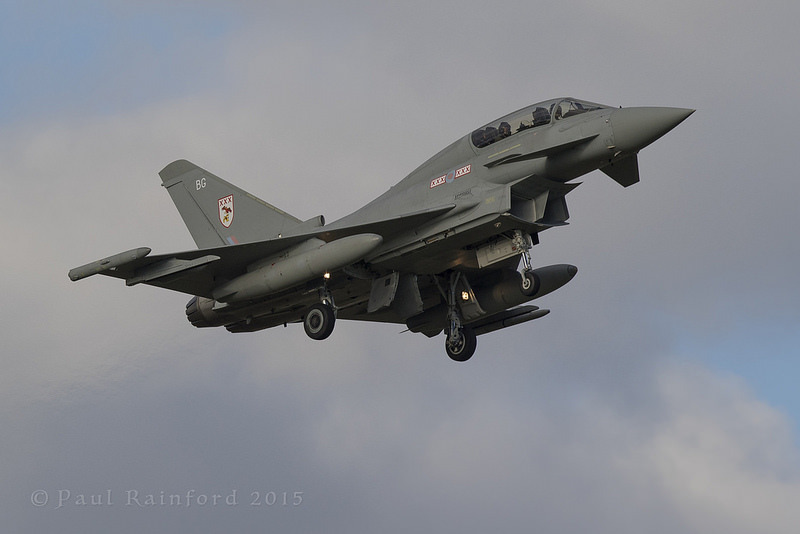 at RAF Leeming in 1996 the a/c returned to Coningsby for operation with 29 Sqn. 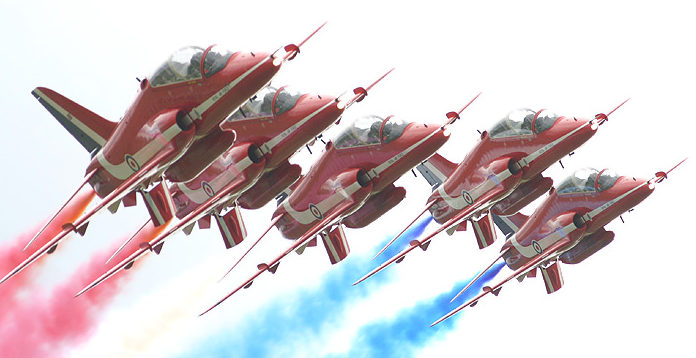 coded BS being subsequently (upon disbandment) passed to V Sqn. who coded it CH in October 1998. 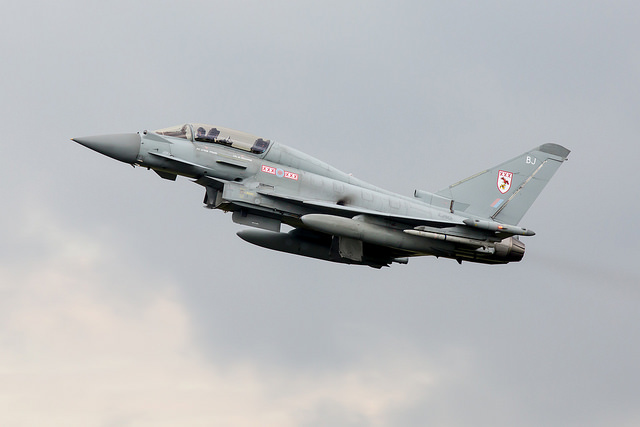 Over the next few years it served with both the remaining Coningsby squadrons , being coded AB with 56 ( R ) Sqn., before a year’s service with XI Sqn. 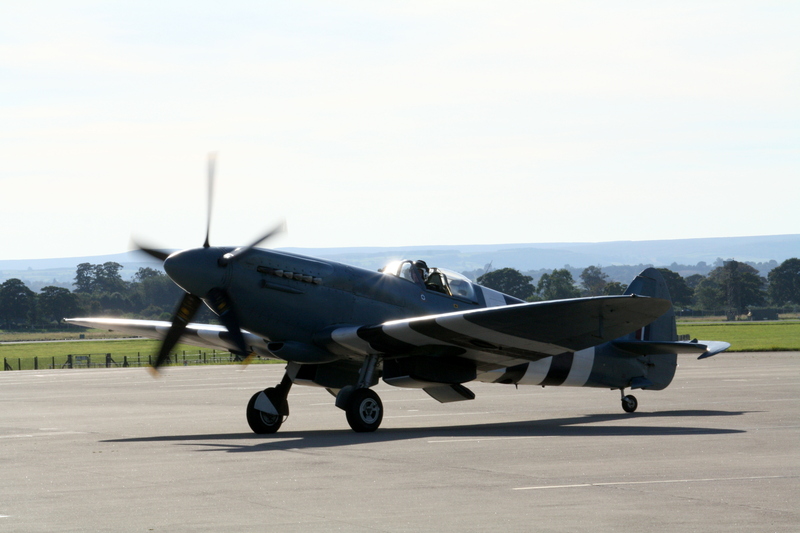 at Leeming between October 03 and September 04 (almost certainly in unchanged markings and codes ). 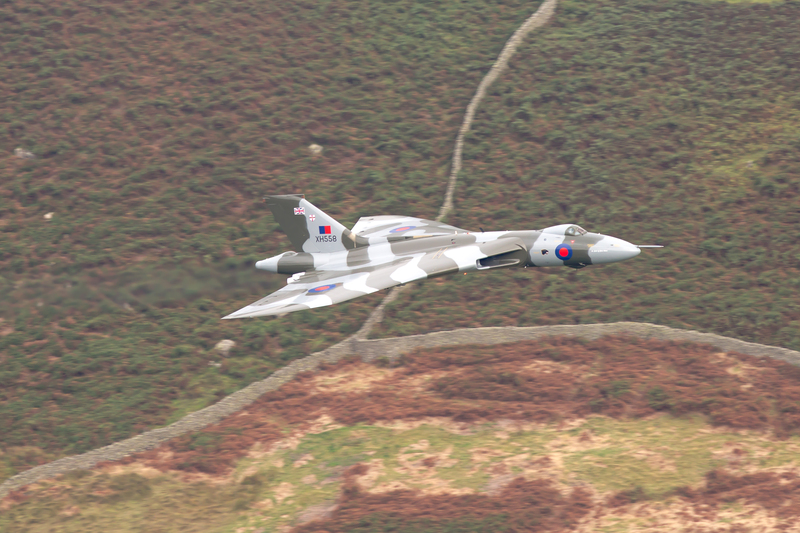 On its return home it moved, as part of the 56 ( R ) Sqn. 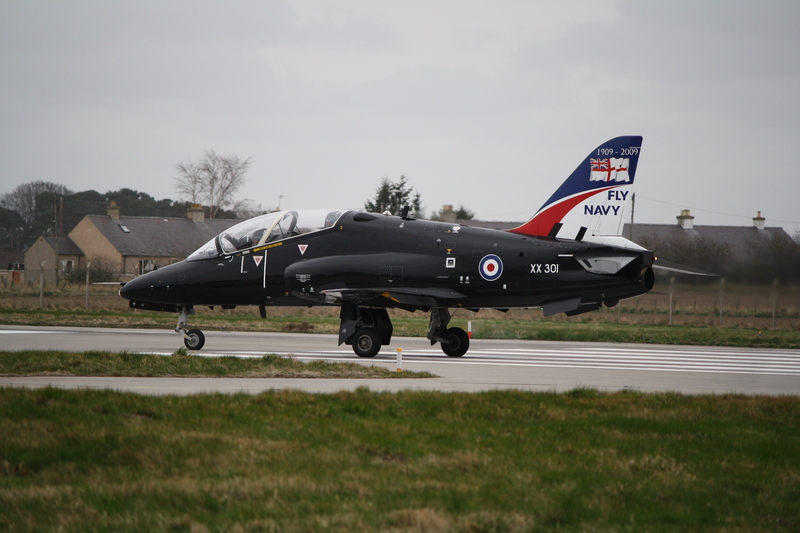 complement to RAF Leuchars, thereby completing the set of F3 bases and upon the change of the tail code system gained the letters ST. 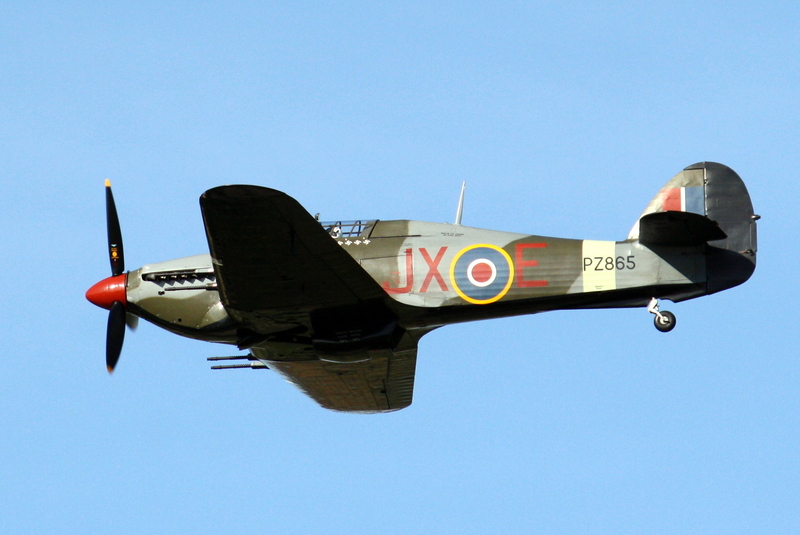 Subsequently, if briefly, it served with both the other Leuchars squadrons, nos 43 and 111, who gave it the codes HW, in July 09. 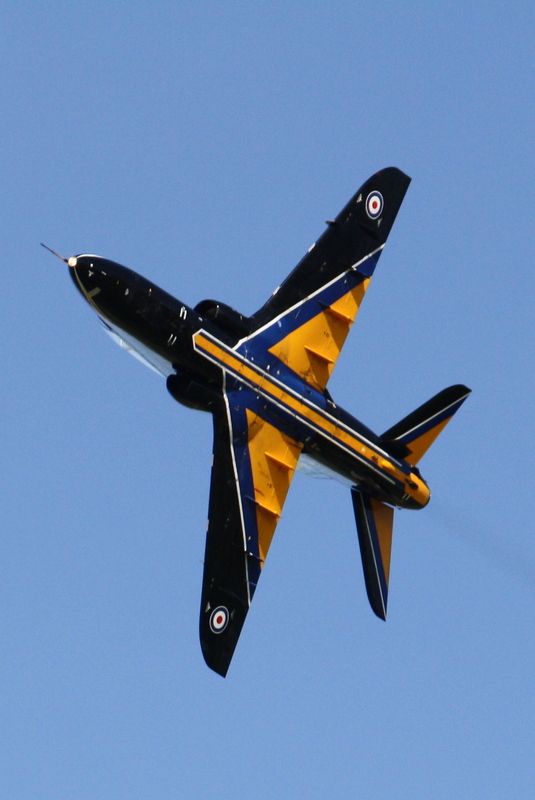 With the retirement of the type from RAF service in March 2012 ZH552 was fortunate to escape the demise of its sisters when it was selected to serve with the small fleet of four F3s operated by QinetiQ for carrying out trials of the Meteor Beyond Visual Range (BVR) missile at Boscombe Down. 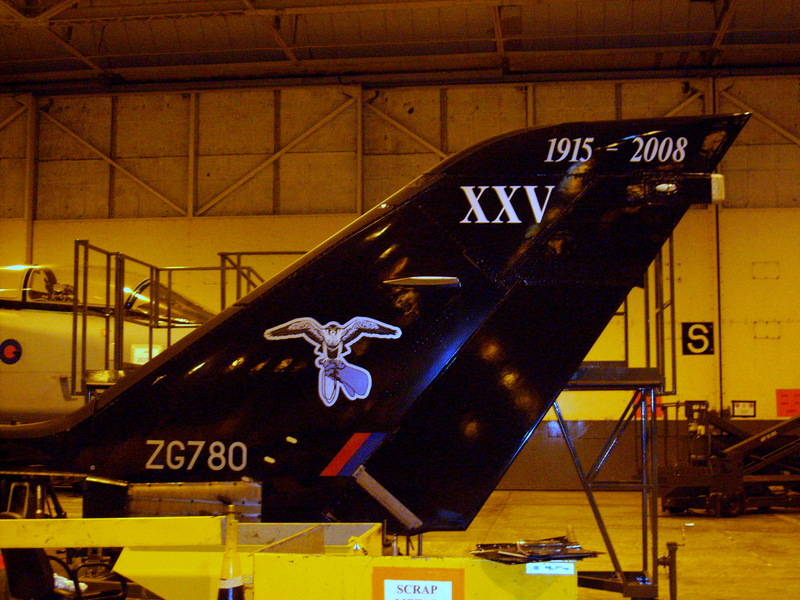 Although not one those specially modified to actually fire the missile it was used as a chase plane from which the firings were recorded on a hand held camera and this explains the four black cine camera mission symbols on the fuselage forward of the air intake. The trials were completed at the end of 2012 and all four of these aircraft were delivered to RTP at Leeming in July 2013. 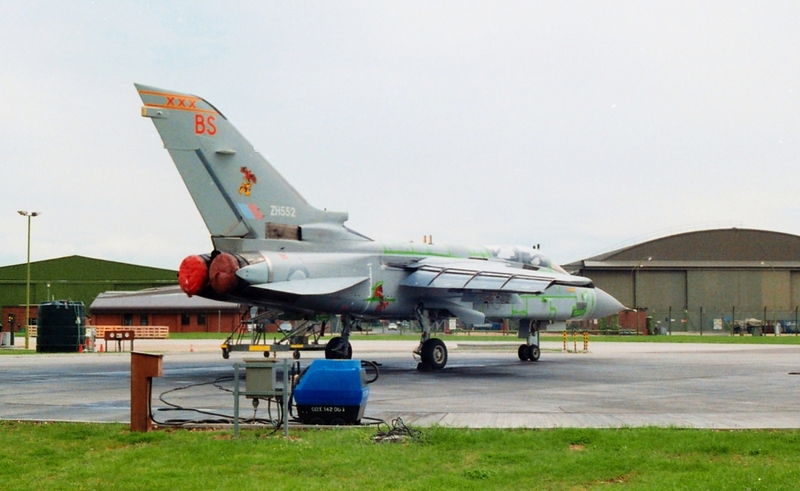 ZH552’s second lucky break was to be the last F3 scheduled for processing at the time when the decision was taken to dispose of Leeming’s long standing Javelin gate guard. For a station with a proud tradition a replacement was obviously required and what could be more appropriate than the last surviving F3 on the premises ! The F3 also has a FLAG link in that the logbook of our President , AVM Phil Roser records hours flying sister aircraft (ZE/ZG a/c) while Station Commander at Leeming. 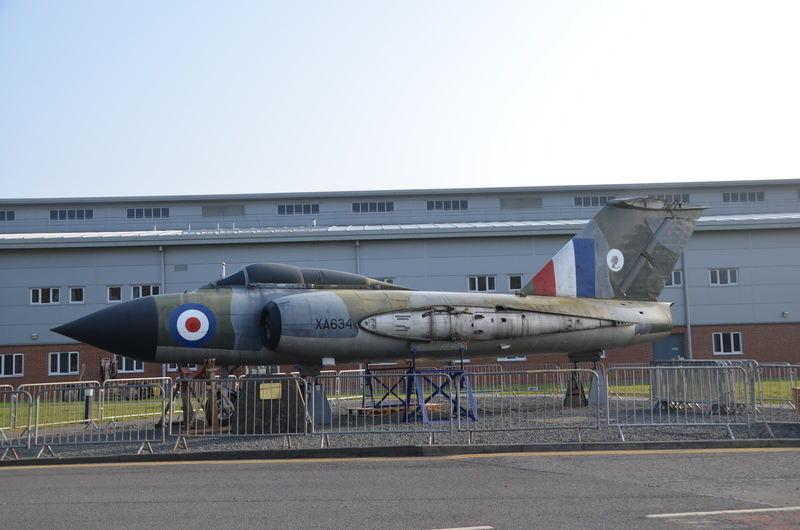 Dave Thompson took this sad photo of Leeming's Javelin FAW4 gate guardian prior to the departure to its new home at The Jet Age Museum, Staverton, close to the original Gloster factory. 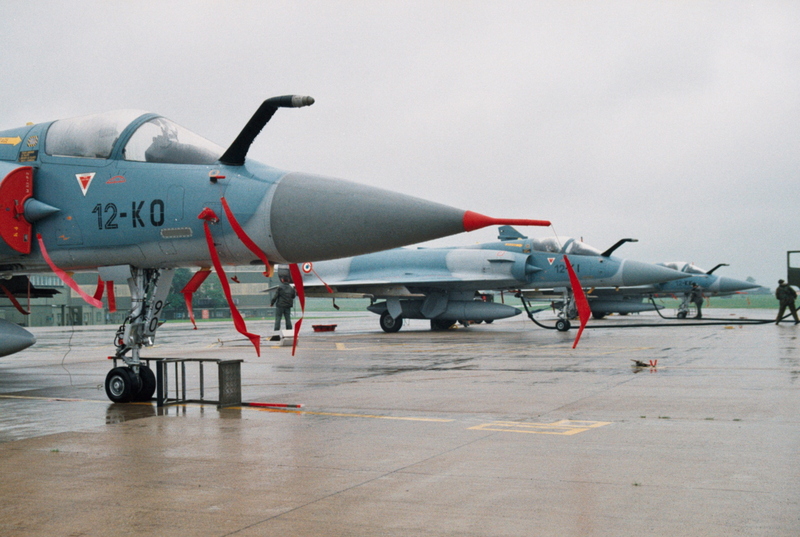 XA634 spent most of its flying life as a trials aircraft for air refueling tests after modification by Airwork Limited. Now replaced, as hoped for, by Tornado F3 - see Lee Zone. 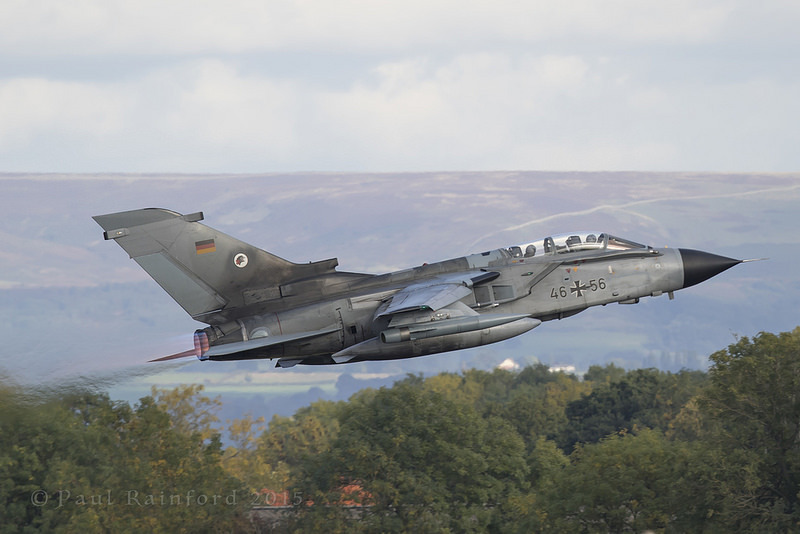 - In the expert hands of FLAG Dep OIC Flt Lt James Harris, XX285 makes a low pass during Leeming Families Day in 2009. 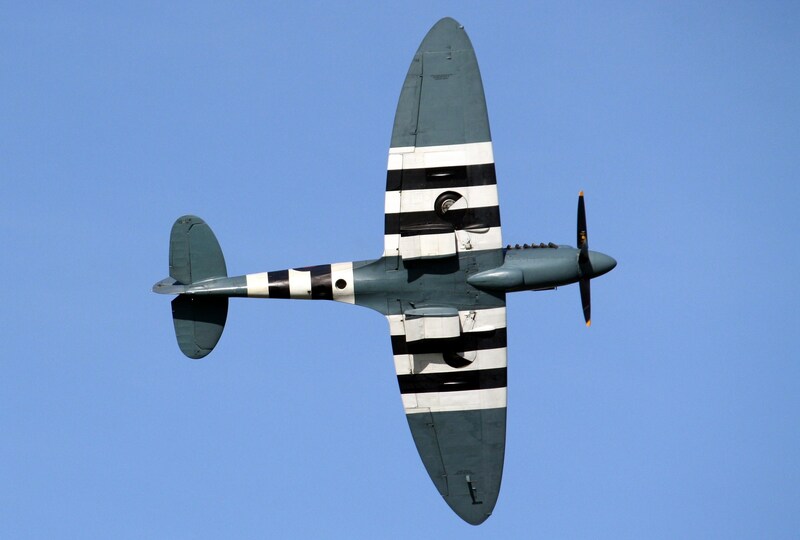 BBMF Spitfire PR XIX, PM631 from Coningsby displays its classic lines also at Families Day 09. Modern classic lines, but faster andlouder, Typhoon FRG4 of 3Squadron, Coningsby, is displayed by Sqn Ldr Scott Loughran. 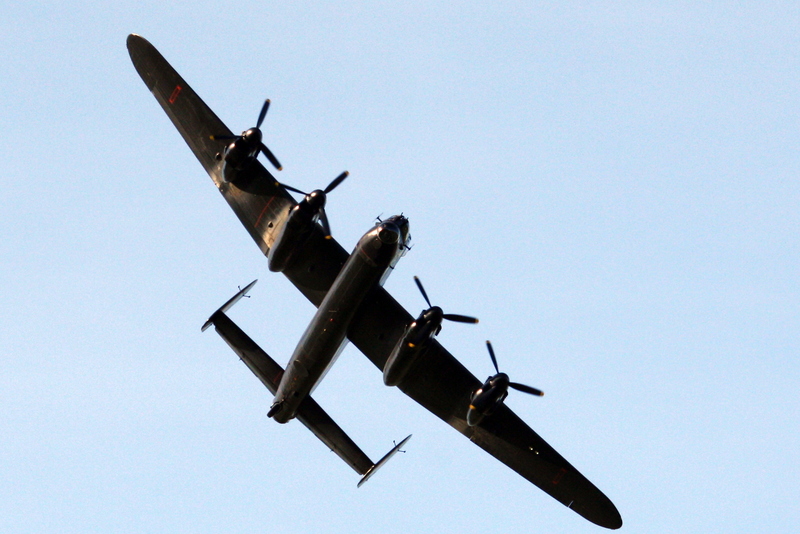 With four Merlins in perfect harmony the BBMF Lancaster approaches crowd centre. 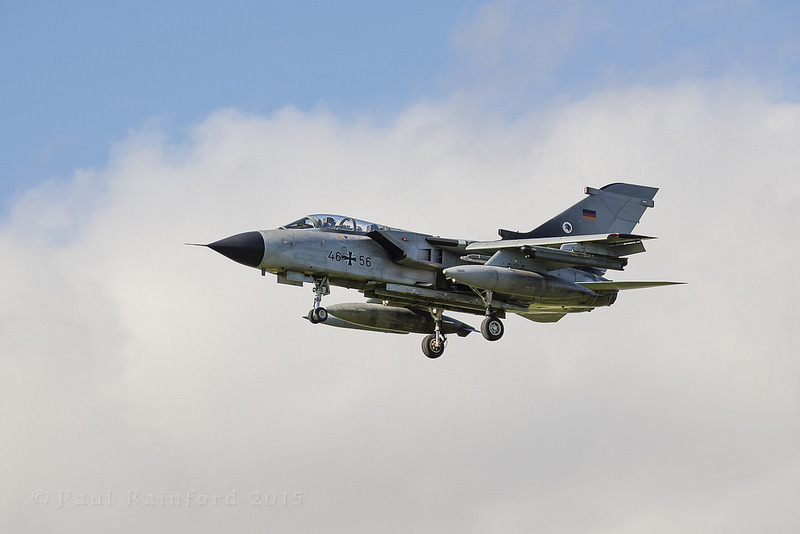 PA474 in the markings ofEE139, the "Phantom of the Ruhr, which flew its first 30 ops with 100 Sqn , currently flying Hawks at Leeming. 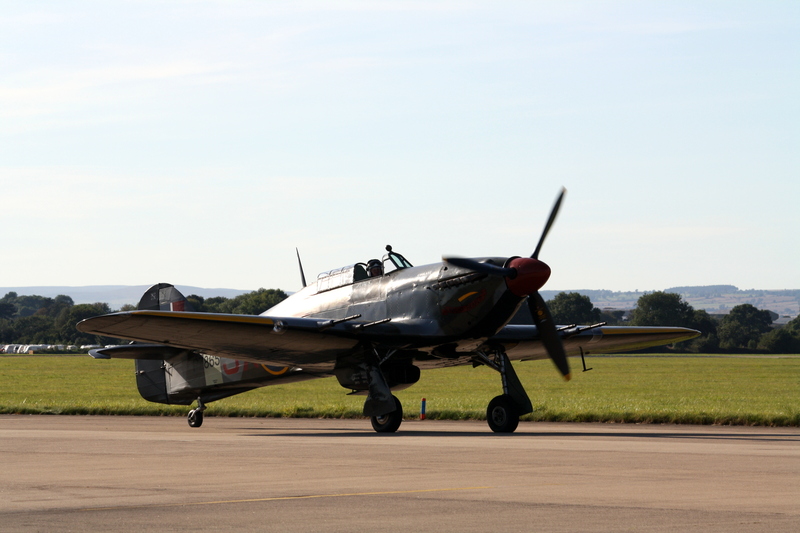 Hurricane 11c, PZ865 completes the BBMF display at Families Day, a highlight of the FLAG year. 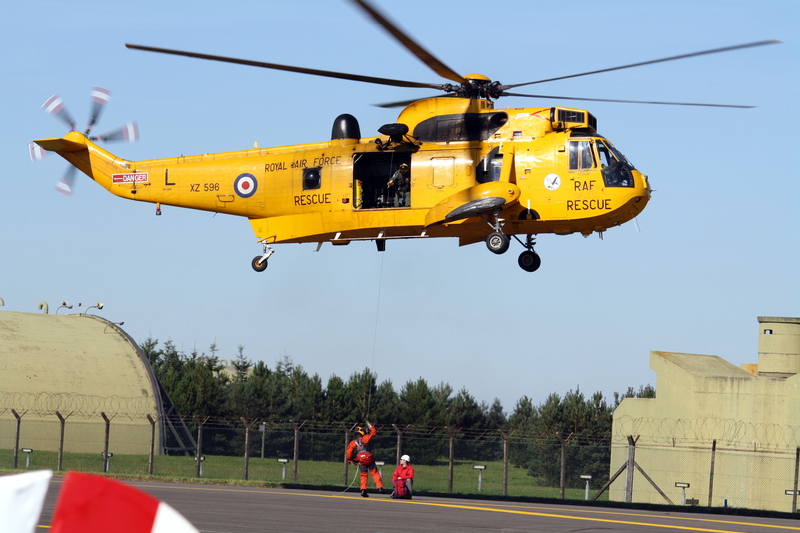 Close up with the Sea King of 202 Sqn as the winching demo begins at Leeming's northern HAS area. 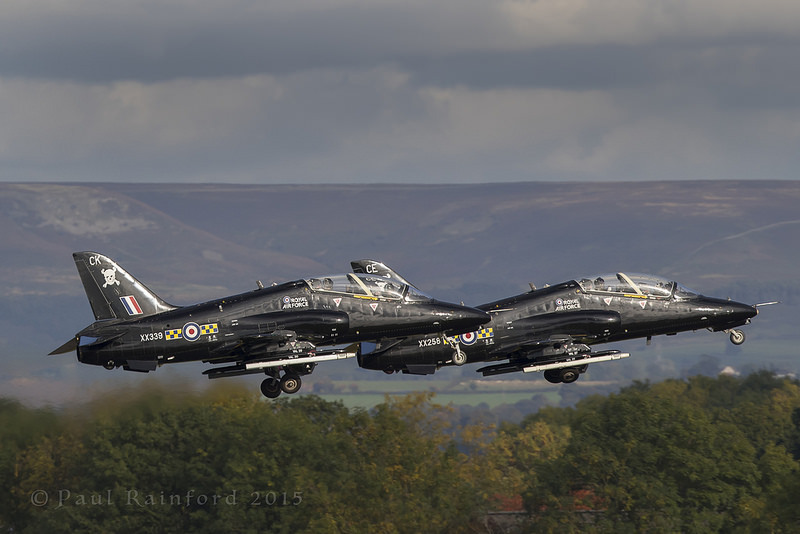 Families Day 2010 included this100 Sqn Hawk display team which included our FLAG OIC Sqn Ldr Al Dolding. 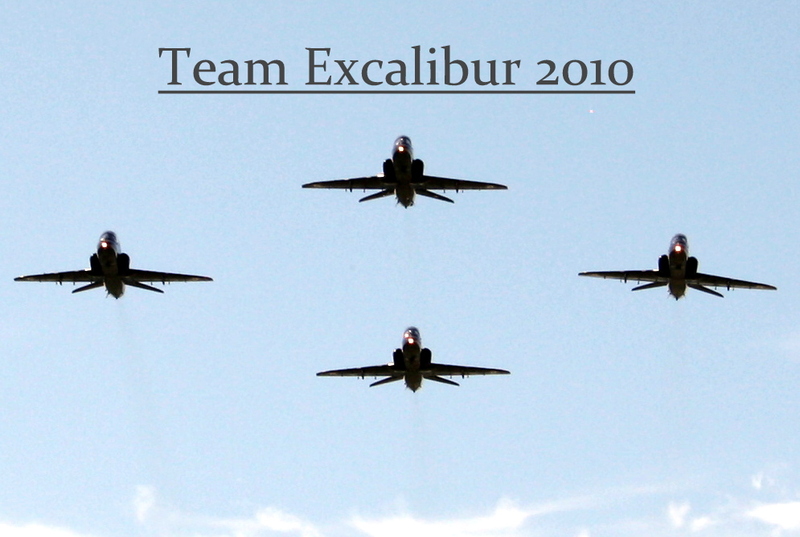 Why not "Team Excalibur" as agreat name ?